I read this article and found it very interesting, thought it might be something for you. 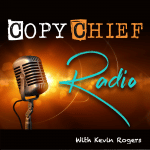 The article is called Ep 113: A Productivity Survival Guide for Independent Workers with Kevin Rogers and is located at https://copychief.com/ep-113-productivity/. Until recently, I’ve been working WAY too much. And would reach the end of the day with that nasty feeling that nothing very important was getting done. If you’ve been an independent entrepreneur for more than a year, I bet you share these feelings. We know we should be working less IN the business and more ON the business. But, there’s no simple switch you can flip and make this happen. I’d gain incremental improvements, but nothing that stuck. That’s when the shift finally happened. I discovered 4 simple steps to staying productive, reducing overwhelm, and actually finding JOY in all phases of work again. Even when it feels like the whole world needs you. Check it out in the new CCR episode here. If you’re a creative type who happens to be a freelancer, I think this is going to help you take back your day and stay in control. I usually do not think about what I should be doing with my time and just react to whatever comes in. After reading this post, I am thinking to map out my schedule for the week on paper. Hopefully, I’ll get a lot more done in a lot fewer hours if I put some thought into planning my schedule.